At Yardley Law, we are committed to excellence and thrive on providing you the best legal advice. Yardley Law combines big city expertise with small town service. As a lawyer with over 25 years of experience, Thomas Yardley knows what work is needed to advance a client’s case, and what is useless bill padding. 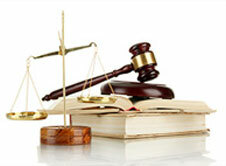 He uses experienced Florida Registered Paralegals to keep costs down. Yardley Law’s paralegals are individuals with education, training, and/or work experience, who work under the direction and supervision of Thomas H. Yardley. They perform specifically delegated substantive legal work and have met the requirements of registration as set forth in Chapter 20 of the Rules Regulating The Florida Bar.